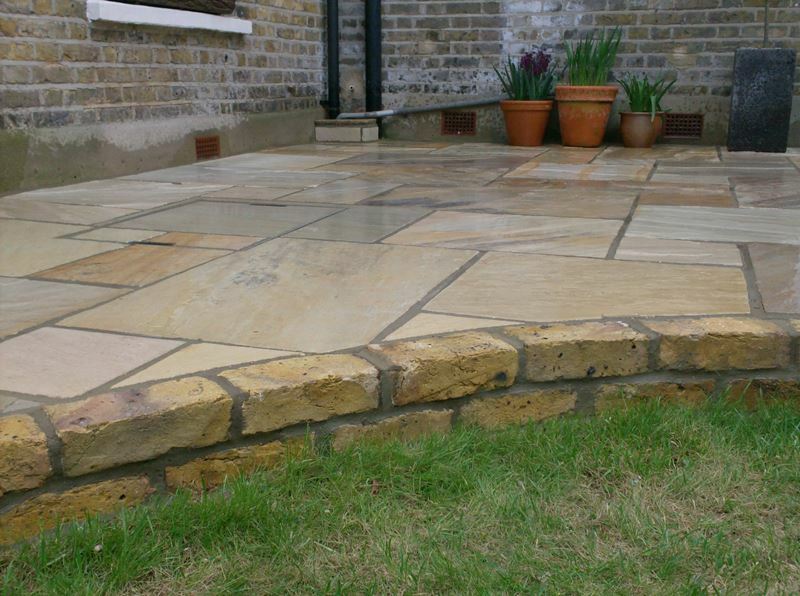 Natural stone, block paving or decking with finishing touches like edging and steps completing your perfect patio. 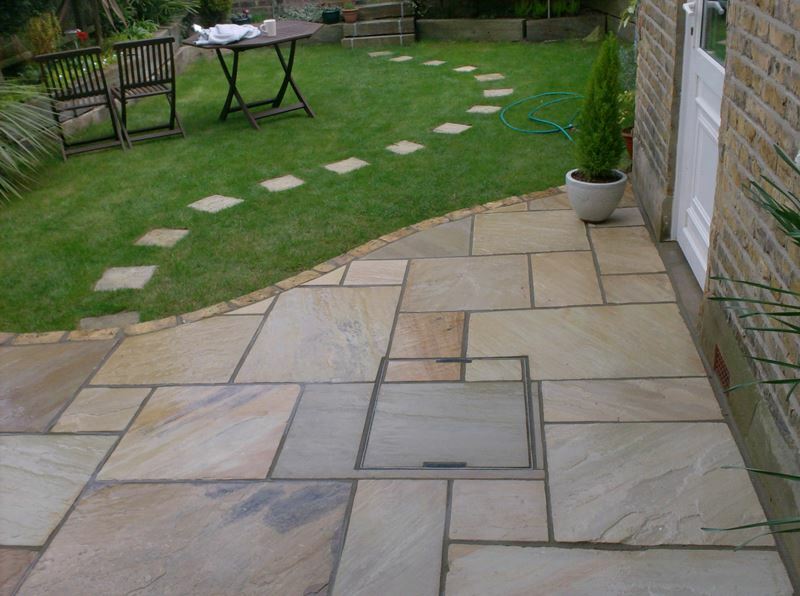 Our experienced team works with tile, natural stone, brick, concrete and resin bonded gravel pathways. 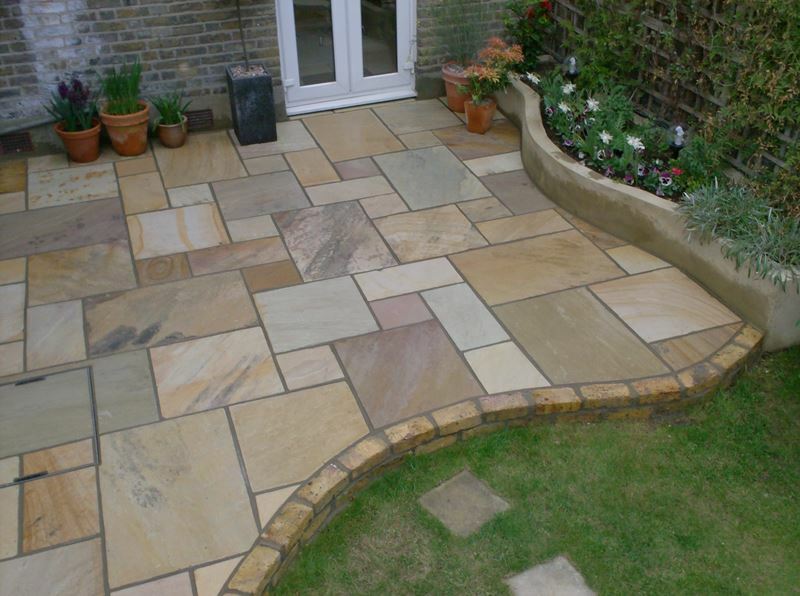 Our experienced team of landscape gardeners works confidently with all types of garden paths. Loose surfacing materials such as gravel, pebbles, slate are a quick, low-cost pathway solution as they can often be laid on top of existing bases. 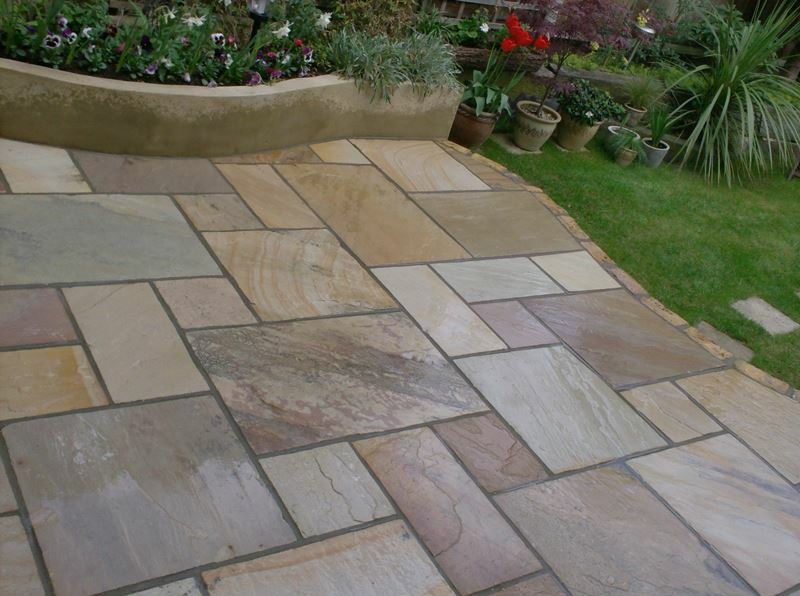 Natural paving slabs are available in a wide range of materials including: Sandstone, Slate, Granite and Limestone providing a beautiful and long lasting pathway. A lower cost alternative to natural stone ideal for high traffic areas. 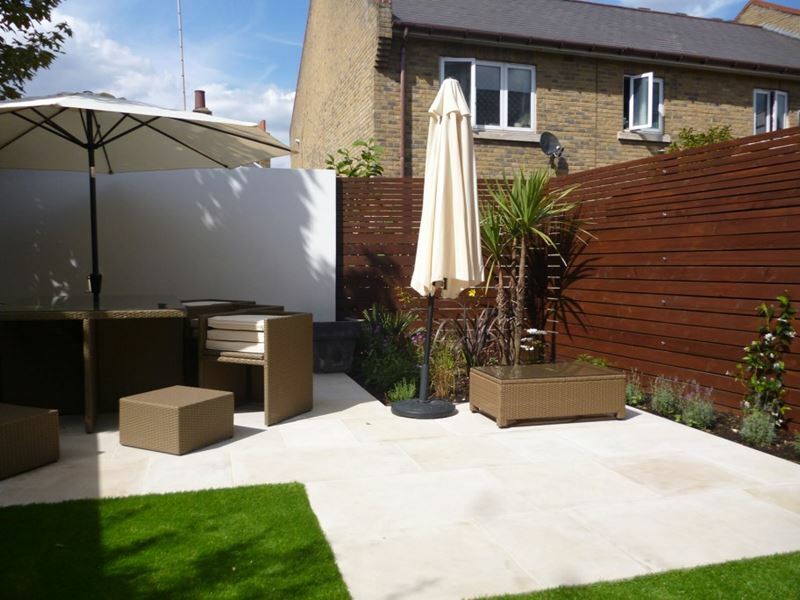 Concrete paving slabs are available in a wide range of colours and surface finishes. Resin bound aggregate, referred to as ‘scatter coating’. Gravel is scattered over resin creating a non porous finish with higher anti slip properties. 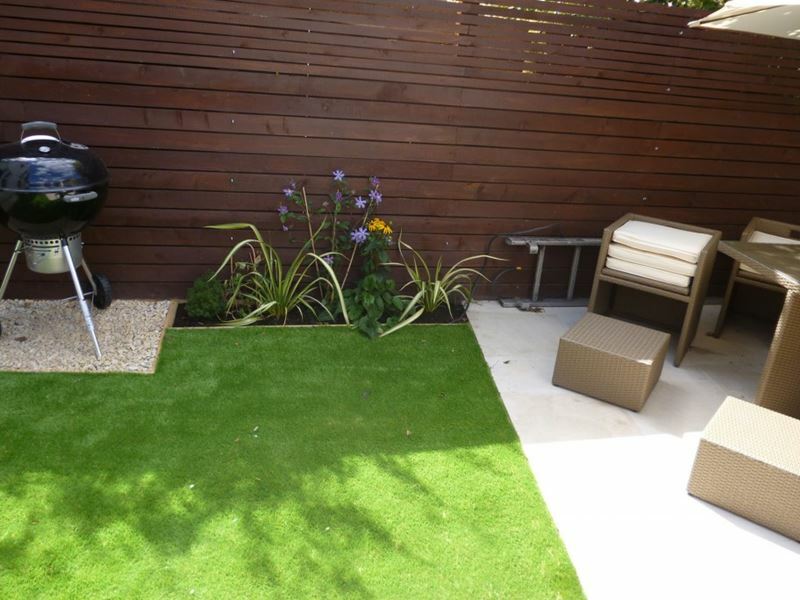 Resin bonded aggregate, referred to as ‘hand trowelled’. Aggregate is mixed with resin and then hand trowelled for a smooth, hard wearing surface. Victorian and Edwardian mosaic tile paths create ‘kerb appeal’ for your property and are a key component of classic London front gardens. 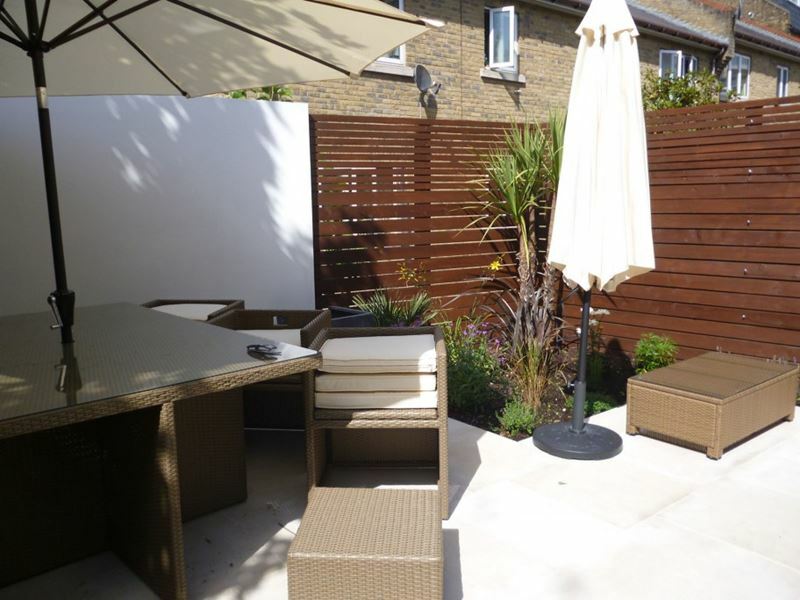 Our experienced team of landscape gardeners works confidently with all types of garden patios. Hardwood, Softwood and Composite decking boards are available in full range of profiles: grooved, smooth, pre-grip and anti-slip. 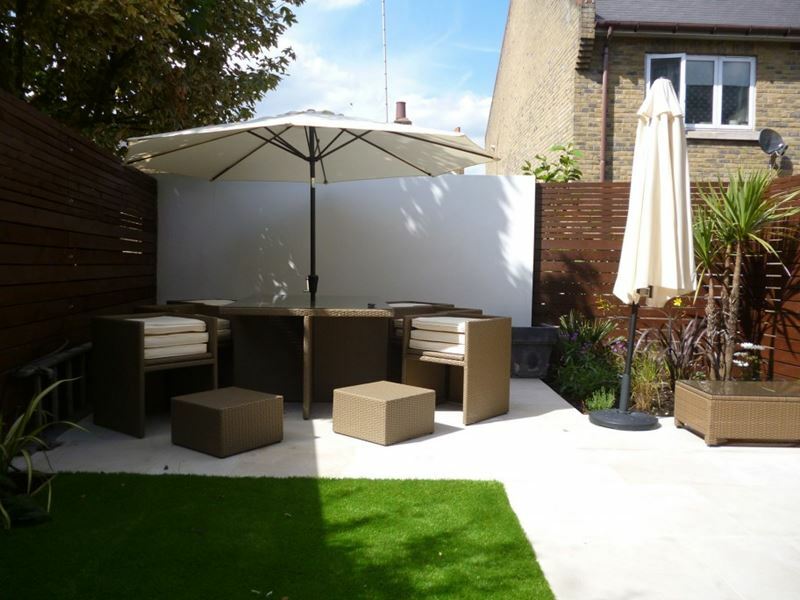 Loose surfacing materials such as gravel, pebbles, slate are a quick, low-cost patio solution as they can often be laid on top of existing bases. 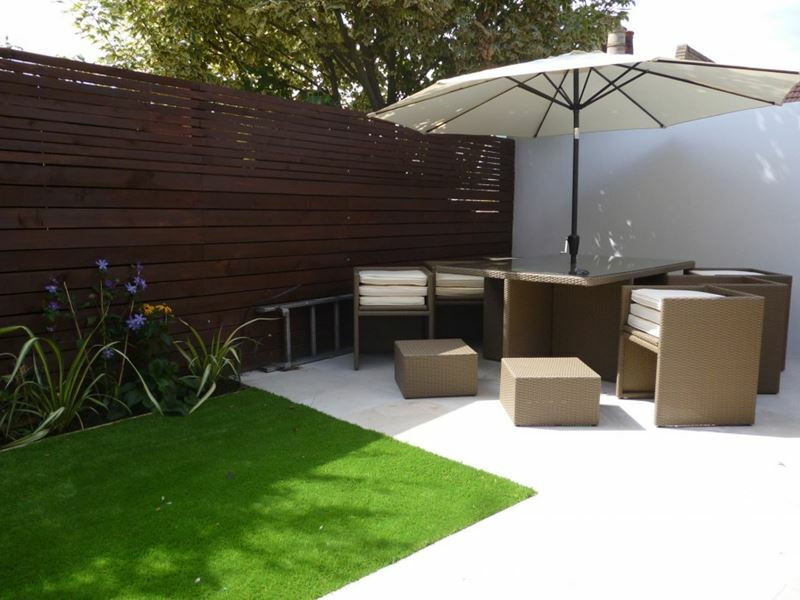 Natural paving slabs are available in a wide range of materials including: Sandstone, Slate, Granite and Limestone providing a beautiful and long lasting patio. A lower cost alternative to natural stone ideal for utility areas. 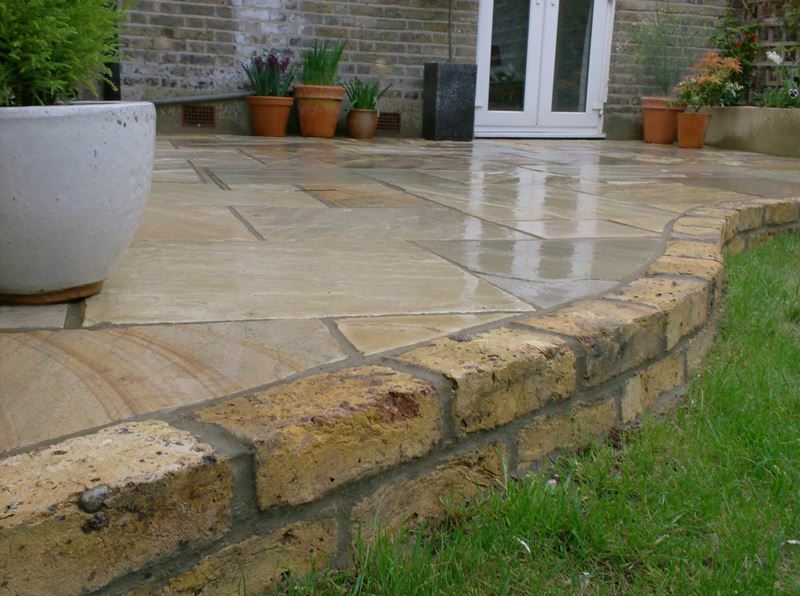 Concrete paving slabs are available in a wide range of colours and surface finishes.